I would like to thank you for considering me to partner with you. Whether you are a first time home buyer, seeking to sell and upgrade your home or buy an investment property, I will be with you every step of the way! My job is to educate and to give you the tools you need to make informed decisions. 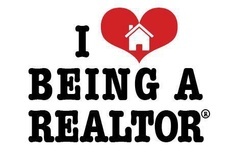 I understand that buying or selling a home is more than just a transaction: it’s a exciting life-changing experience. Offering remarkable service has been the benchmark to my success. I am committed to providing my clients with the highest quality, hassle free experience possible and building long-term relationships along the way, working relentlessly on my client’s behalf to help them achieve their real estate goals. I am a full time Real Estate Agent, a mother of 2 grown men, and a grandmother to the most perfect little girl and a adorable grandson. I have lived in the Akron/Canton area for my entire life. I am an investor myself and I currently own and manage 14 properties and have renovated 16 homes. My passions include my grandchildren, my lab puppy who I am training for therapy work, gardening, decorating, photography, wine making and travel. I have a heart for missions and I am very involved in my local church. My philosophy is simple: clients come first. I pledge to be in constant communication with my clients, keeping them fully informed throughout the entire buying or selling process. I believe that if you’re not left with an amazing experience, I haven’t done my job. I don’t measure success through achievements or awards, but through the satisfaction of my clients and the relationships I have built along the way.